And who wouldn't be? 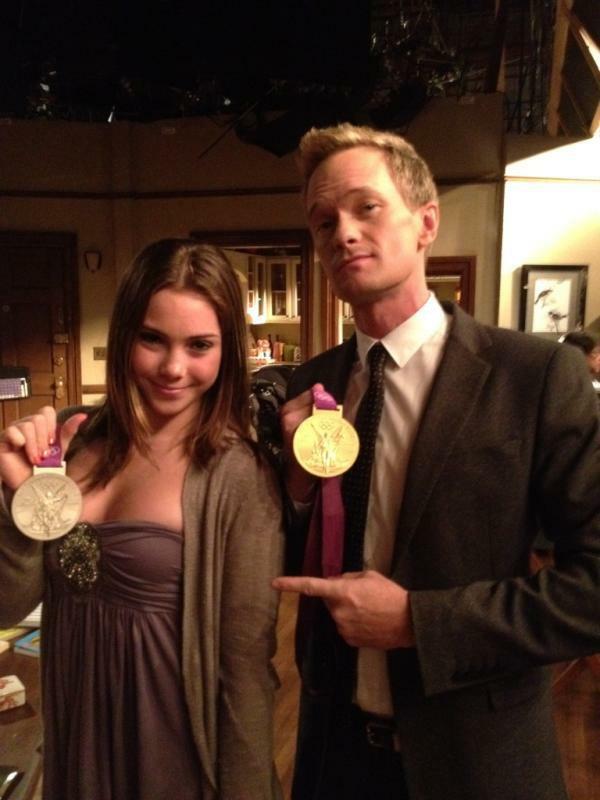 The Olympic gymnast paid a visit this week to the set of "How I Met Your Mother," and got some photos with the show's stars, including Neil Patrick Harris and Alyson Hannigan. Harris tweeted this pic, writing: "Guess who visited HIMYM just now? Olympic Gold Medalist @McKaylaMaroney! Here I am pointing at her." Despite Maroney's viral "not impressed" Internet meme (which even she spoofed), it sure looks like she found the whole thing impressive. Though it didn't look like it, McKayla Maroney said she is impressed with her silver medal. 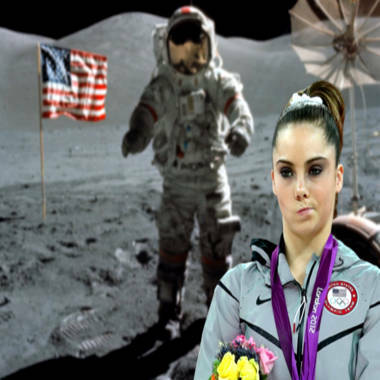 An image from the Tumblr blog celebrating McKayla's podium face. In an interview with Savannah Guthrie on TODAY Thursday, Maroney said her sour look was not a result of coming up short of the gold. Maroney appeared on TODAY alongside fellow members of the "Fierce Five," the group of gymnasts including Jordyn Wieber, Aly Raisman, Gabby Douglas, and Kyla Ross, to talk about their first Olympic experience. Wieber arrived in London as the reigning world champion in the all-around, but did not qualify for the all-around finals. She did not medal in any of the individual events, but was part of the Americans' gold medal-winning performance in the team competition. It turns out that she was competing all along with an injury: Thursday, she was wearing a walking boot on her right leg. Now that the competition is over, the Fierce Five have taken some time to enjoy themselves. They've hung out in the Olympic Village, and enjoyed hot chocolate and a ride on a red London bus with TODAY correspondent Jenna Bush Hager. They also had a brush with royalty, chatting with Kate, Duchess of Cambridge, who complimented their leotards. How do the girls know they really made it? A special message from Justin Bieber. The girls are huge fans.